Review: Why can’t climate change be funny and romantic, too? One of my pet peeves about environmental activists and climate change activists in particular is their shriveled sense of humor. Not all, mind you, but most beat a constant drum of doom and gloom that makes me want to jump off a cliff. Way to crucify my Jesus, people! That’s why it’s refreshing to read a story that takes a lighter view of a serious subject. Love in the Time of Climate Change, the first novel by Brian Adams, also makes the case that even the end of the world can spark a romance. Casey is a 32-year-old community college professor who suffers from OCD, obsessive climate disorder. Rising sea and CO2 levels, evil oil companies, the stupidity of deniers, and other bugbears of climate doomsayers are never far from his mind, until the arrival of Samantha, a 29-year-old middle school teacher who needs some professional development credits. Over the course of the novel, Samantha’s hotness competes with Casey’s fears of global warming, until their interest in climate science and each other culminates in an meeting of minds and bodies. Adams, himself a community college instructor in Massachusetts, paints an academic world of 10 percent scholars and 90 percent seatwarmers. By the end of the novel, Casey manages to change this ratio by a few percentage points, at least in his class. Casey and his roommate, Jesse, are stuck, however, in a sophomoric world of cold pizza, bong hits, and surprisingly little beer, though the fart jokes (topically relevant, in a climate-change sense) come fast and furious. As he criticizes the deniers, Casey fends off adulthood. It’s too bad that the love story at the center of the novel generates so little tension. A college ban on teacher-student affairs is a weak reason for the lovers to resist their attraction. For someone determined to subvert the dominant fossil fuel paradigm, Casey excels at conventional behavior. A rival for Samantha’s affections, or the reappearance of a girlfriend-from-hell would have added necessary sparks, but Adams doesn’t feel the need for an antagonist, unless you count a dean who winks more than he frowns. The romantic outcome is never in doubt, but the prospect of failure is the essence of rom-com. Adams, the teacher, can’t resist a lecture on various aspects of global warming. Casey proselytizes on the wonders of photovoltaics, and no one–student or faculty–disagrees, arguing for, say, tidal energy or biomass. Despite these issues, Adams manages to poke fun at the assumptions of fellow activists, such as a scene with a pair of door-to-door religious evangelists whom Casey and his roommate discover don’t deserve their cruel practical joke. Much of Adams’ humor hits the mark. 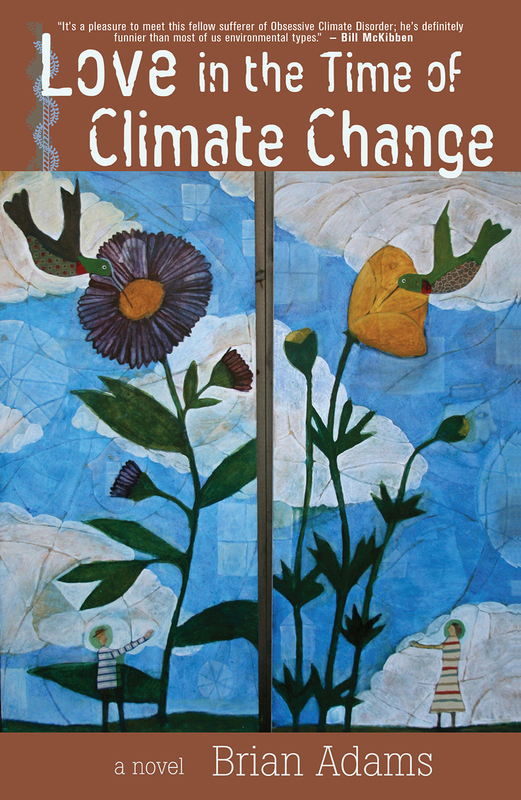 Love In the Time of Climate Change is a pleasant, and often funny, read. What Ebenezer Scrooge teaches America about atonement for the CIA’s sins.